Amsterdam is definitely a party town. The the little lanes of the red-light district, right in the heart of the old-town, are stuffed with mobs of fun-seakers every evening, who then fill the bars, pubs, restaurants and coffee houses. But that's just one aspect of any trip to Amsterdam. Other aspects you can discover best, like always, with your running shoes on. Head out into other neighborhoods, where things are quieter and you can appreciate the understated Georgian-era elegance of this very special town. 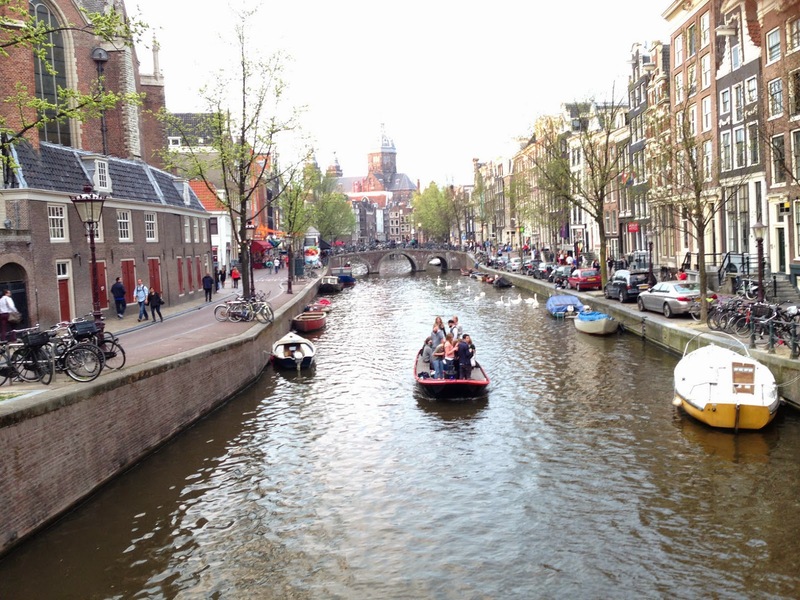 Canalside run: The old canals are THE ingredient that makes Amsterdam so unique. And nowhere are the canals as beautiful as along the old Grachten on the west side of the town center. The concentric rings of water, lined by beautiful brick houses are a sight which you won't find in any other world capital. Vogelpark / Rembrandtpark / EgmontPark: For a bit of green right from the city center, try this three-park route. It starts in Amsterdam's summertime back-yard, Vogelpark, full of barbeques and hangers-out on summer evenings. 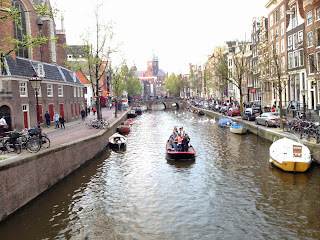 Then on through two quieter parks and a few canals before landing back in the center of town. Amsterdamse Bos: This big park on the south side of town provides a huge expanse to run among fields and woods. Amstel River run: Get a feel for real Holland by running out of the city along the Amstel River. Beginning at Amstelpark, you head past windmills, fields and farmhouses before the turnaround spot in the village of Amstelveen. Sloterpark: The west side of Amsterdam has lots of modern apartment buildings, and doesn't seem too interesting at first. But this route around the lake in Sloterpark will give you a whole new perspective on the west side. Looking for a short but intense running competition in 'het Amsterdamse Bos'? Be quick! We start on 11th of June. www.klimloop.nl See you soon!